Platform action game featuring the locations of the 1989 movie. 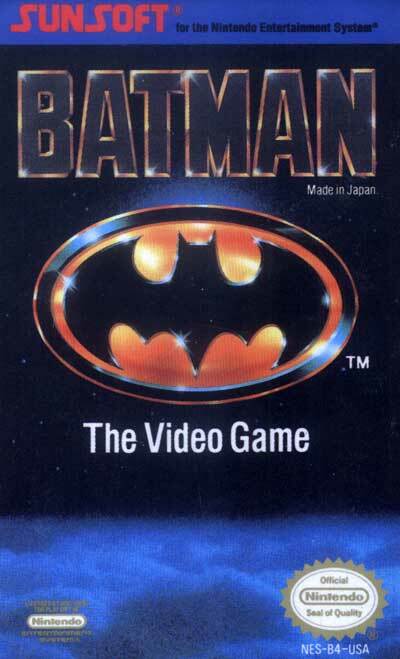 The NES title had five levels culminating in a showdown with the Joker in Gotham Cathedral. The game had a much more futuristic feel to it than the movie, with robots, jet-packs and mutants. And when Batman dies in this game, he turns into ashes and disappears, signifying the effect of futuristic weapons burning his body completely (the burning ashes are shaped like a bat). It is the general consensus of many fans that this version has some of the best music on the NES.